IL. Lic. #104.014897 (847) 244-0500 Call today for fast, friendly service! 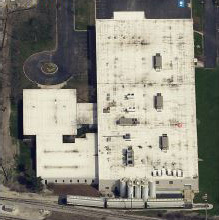 Fidelitone, Inc.’s distribution center roof consisted of a ballasted .045 mil EPDM membrane, measuring approximately 225,625 s/f. This roof system had been outperforming its designed fifteen-year service life for sometime. The Moody Church Historic Sanctuary radius roof consisted of a colonial red granulated modified bitumen membrane, Spanish Tile coping, architectural copper sheet metal and measured approximately 17,500 s/f. United Laboratories, Inc., contacted Local Roofing Co., Inc. to replace the failing 15,300 s/f roof system above their Administrative Office Building. 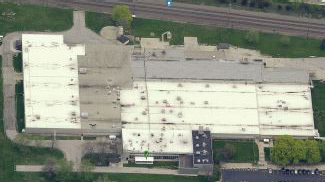 Fidelitone, Inc.’s distribution center roof consisted of a ballasted .045 mil EPDM membrane, measuring approximately 225,625 s/f. This roof system had been outperforming its designed fifteen-year service life for sometime. 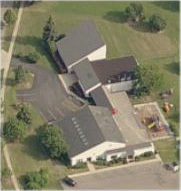 After several recent roof leaks occurred, Fidelitone Inc. became alarmed about the condition of the roof. 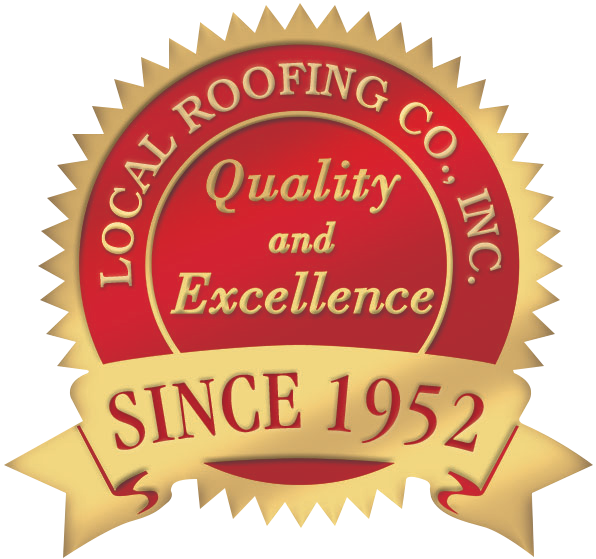 In August 2014, Fidelitone, Inc. contacted Local Roofing Co., Inc. for a free roof inspection and recommendations. Our core analysis determined that the existing twoinches of isocyanurate insulation was in very good condition and performing as specified. Local Roofing Co., Inc. recommended that the roof be re-roofed. This action would prevent the high cost associated with replacing the existing insulation. We informed Fidelitone that if the existing conditions were allowed to persist, moisture would continue to infiltrate the insulation, and would require the wet insulation to be replaced. The new insulation would have to meet the mandated State of Illinois Energy Codes. This code states that when the original insulation is exposed that the new roof system must incorporate an LTTR R-value equal to 25 or approximately 4-1/2” of isocyanurate insulation. To replace the existing insulation would have added an additional cost of approximately $450,000.00 to the project. Local Roofing Co., Inc. recommended that the roof system be re-roofed with a Carlisle .060 mil fully-adhered white TPO single-ply membrane. Prior to the roof being re-roofed the existing river rock ballast was removed from the job site. The stone ballast was disposed at an excavation contractor site to be recycled. The existing black EPDM membrane was sliced ten feet on center and re-roofed with 1/2” high-density isocyanurate insulation. This additional insulation was mechanically fastened through the existing insulation per manufacturers specifications to the steel deck. Carlisle’s .060 mil white TPO membrane was loose-laid on twelve foot centers over the new insulation and fully adhered with Bonding Adhesive. The twelve-foot wide rolls significantly reduced the number of seam welds on the roof. The seams of the TPO were hot air welded at approximately 1250º with our robot welder. In addition all skylight domes were replaced with new Sunoptic Hail Resistant Prismatic High Performance Lenses. Field Representative, Carlisle issued a twenty-year No Dollar Limit Warranty. 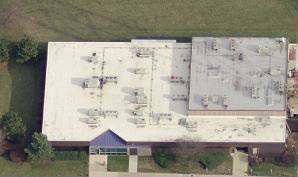 Local Roofing was able to re-use the existing insulation saving Fidelitone, Inc. a considerable amount of money. 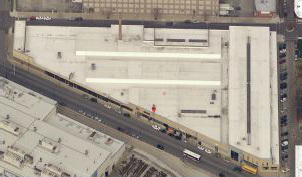 In addition the new white TPO membrane will provide the 225,625 s/f distribution center with a highly UV reflective roof. 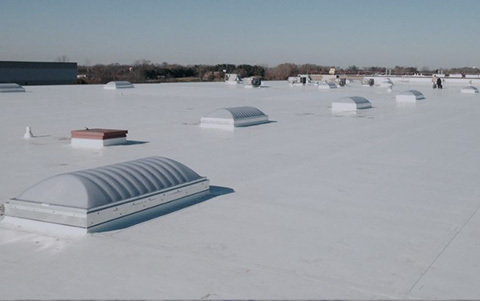 The white TPO membrane will significantly reduce the surface temperature of the roof as compared to the original black EPDM roof. This will translate into significant energy savings in cooling and heating for Fidelitone, Inc. which over the life span of the new TPO membrane will pay for their investment in the new roof system. The Moody Church Historic Sanctuary radius roof consisted of a colonial red granulated modified bitumen membrane, Spanish Tile coping, architectural copper sheet metal and measured approximately 17,500 s/f. The Sanctuary roof overlooks Lake Shore Drive and is visible by numerous high-rise condominiums adjacent to Lake Michigan. 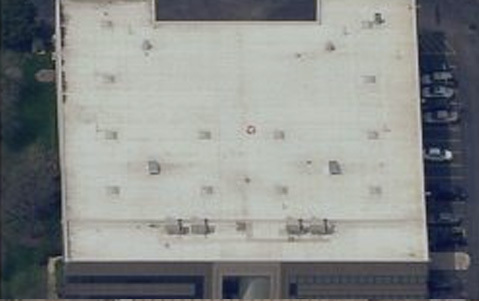 This roof had been replaced in 1983 and after being exposed for 31 years to the extreme elements of Lake Michigan, the roof was now in need of replacement. 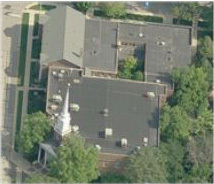 In April 2014, The Moody Church contacted Local Roofing Co., Inc. for a free roof inspection and recommendations. Our core analysis determined that the existing modified bitumen roof system had been fully adhered to a pre-cast concrete deck with hot asphalt. Local Roofing Co., Inc. recommended that the roof be re-roofed. This action would prevent the high cost associated with removing the existing roof system with very limited access in the City of Chicago. 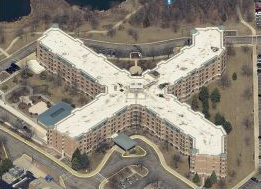 Local Roofing Co., Inc. recommended that the roof system be re-roofed with a GAF .115 mil FleeceBack Energy Star TPO single-ply membrane which would meet the strict City of Chicago Solar Reflectance Codes. After making arrangements with adjoining building owners to access the roof with our crane the old Spanish tile coping was removed and stored off-site and the existing copper flashing were recycled. Interior protection was installed above the loft of the Sanctuary’s organ, which was priceless and irreplaceable. 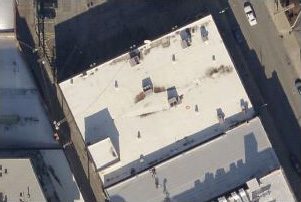 A GAF .115 mil FleeceBack Tan-colored TPO membrane was loose-laid on ten-foot to five-foot centers over the existing granulated modified bitumen Radius roof. The FleeceBack membrane was set in 3M’s CR-20 Polyurethane Foam Adhesive and rolled with steel rollers to insure the membrane attachment to the existing roof substrate. The TPO seams were hot air welded at approximately 1250º with our robot welder. Custom copper sheet metal flashings and gutters were fabricated and installed to match the previous sheet metal details. The old Spanish Tile coping had deteriorated during the course of the removal process. However Local Roofing was able to match the existing profile of the Spanish Tile with that found at a salvage yard. Moody Church representative also requested that Local Roofing Co., Inc. waterproof the ductwork chases located on the exterior of the building. Scaffolding was erected and the ductwork chases were waterproofed with Polyguard Alumaguard self adhering membrane and painted a colonial red color to match the Spanish Tile. 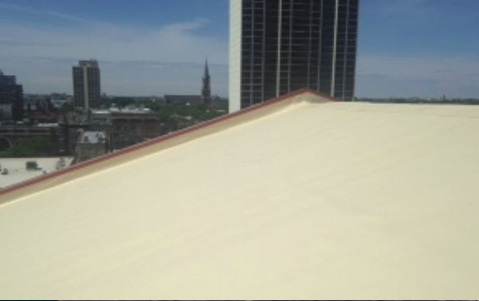 Local Roofing was able to alleviate the surrounding condominium’s concerns regarding the color of the new roof. The tenants of the surrounding buildings were concerned that a bright white membrane would cause a reflective glare on the glass exteriors of the condominium high rises. 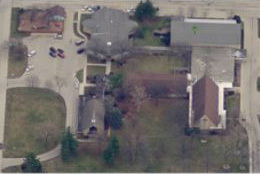 Upon consultation with GAF representatives and The Moody Church an Energy Star rated Tan color TPO membrane was agreed upon to alleviate this issue and still meet the City of Chicago Solar Reflectivity Codes. 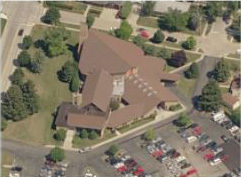 The new re-roof system was installed on time, within budget and no interruptions to Moody Church’s planned wedding ceremonies, church services nor other community functions. In addition the project had to be completed prior to the start of school. Upon final inspection by a GAF’s Field Representative, GAF issued a twenty-year No Dollar Limit Warranty. 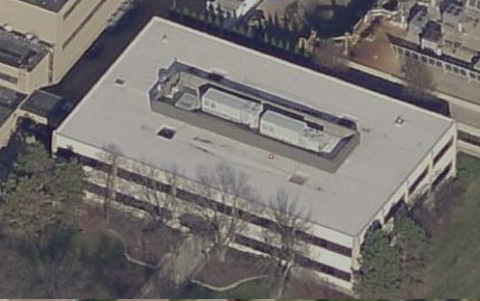 United Laboratories, Inc., contacted Local Roofing Co., Inc. to replace the failing 15,300 s/f roof system above their Administrative Office Building. 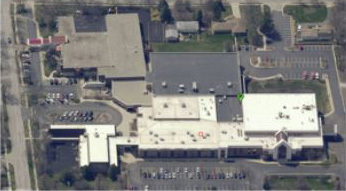 The facility was located adjacent to UL testing facilities and access to the building was very limited. Tom Buchanan of United Laboratories, Inc. specified that the roof system incorporate a minimum r-value equal to an R-30 insulation with an Energy Star-rated membrane. All materials used in constructing the new roof system will need to be certified by UL. In addition the roof system would need to be installed with minimum noise and absolutely no odors to disrupt administrative staff. Tom Buchanan stated, “they were willing to pay a premium for work to be performed on nights and weekends only” to insure that there were no interruptions. 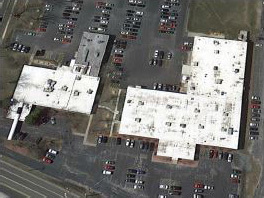 Tom Stauffer, President of Local Roofing Co., Inc. contacted Carlisle Syntec to design a specification to meet UL requirements for the roof replacement project. 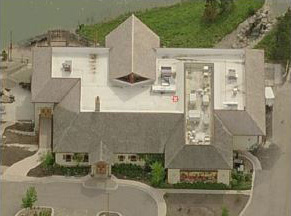 Upon consultation with Carlisle’s technical representative, Local Roofing recommended that the stone ballast be vacuumed off the roof and recycled for re-use around the ponds located on the UL campus. The original coal tar pitch and the existing ballasted EPDM roof systems were then removed down to the metal deck in the early morning hours prior to the arrival of the administrative staff. All the existing skylights no longer in use were removed from the roof and openings re-decked with new steel. The exposed metal deck was primed with Carlisle’s Cav Grip Primer. Two layers of 2.5” isocyanurate insulation (R=30) were set in Carlisle’s Fast 100 Low-Rise Foam Adhesive. Carlisle’s Brite-Ply (White) 60 mil EPDM membrane with Factory Applied Seam Tape was fully adhered to the new insulation with Carlisle’s Solvent Free (no smell) Bonding Adhesive. 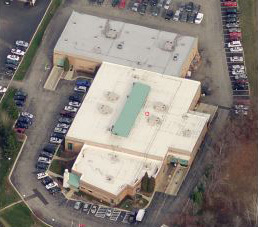 Upon inspection of the project by Carlisle’s Technical Representative, Local Roofing provided a 20-year Carlisle NDL warranty to Underwriters Laboratories. Tom Pearson, Local Roofing’s project manager oversaw the replacement of the roof system. The entire project was completed under budget during the course of regular business hours and with no interruptions to the activities of the Testing facility and Administrative staff. (847) 244-0500 Call today for fast, friendly service!